The Central Library and Art Gallery in Old Street. 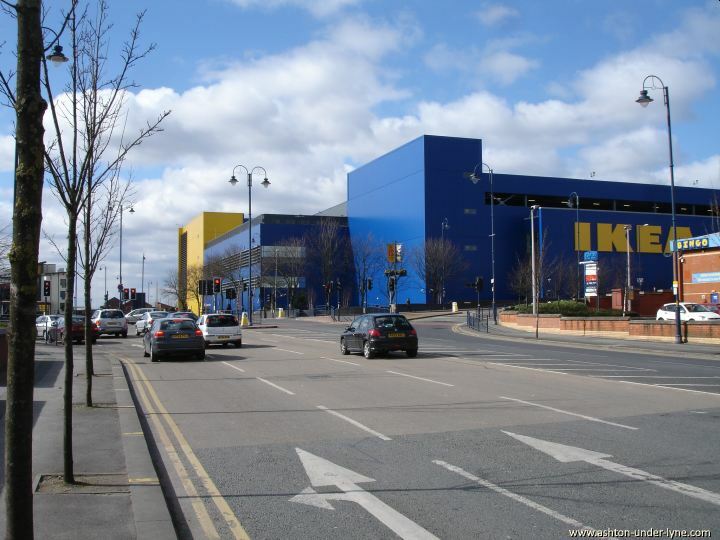 New IKEA store on Wellington Road. 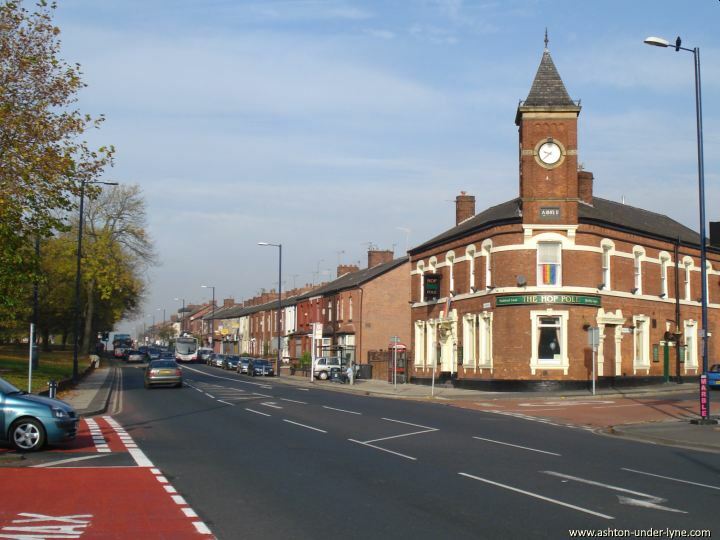 The Hop Pole public house, Oldham Road, Ashton. 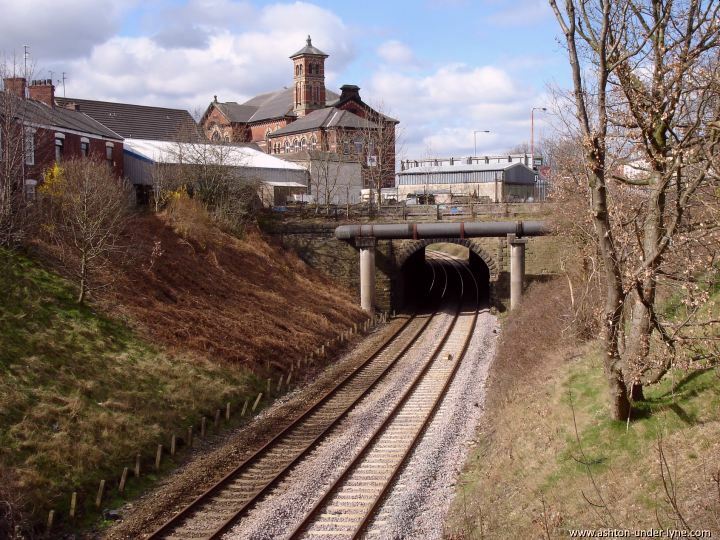 Looking along the railway line towards Albion School. 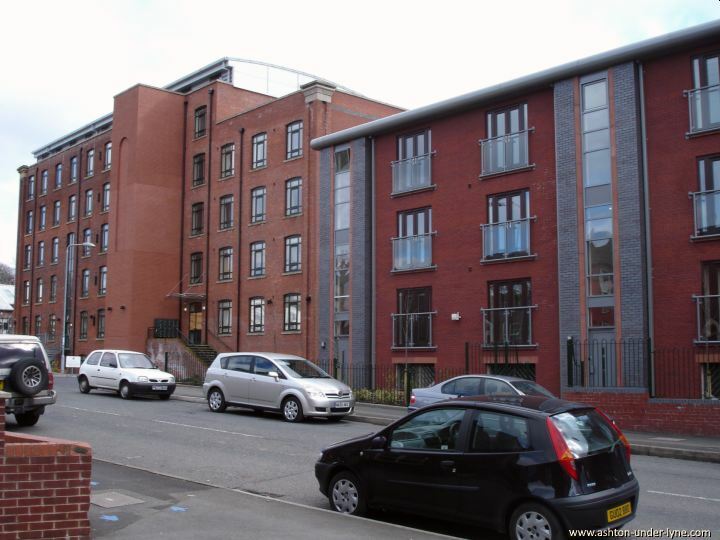 Harper Mill, Mossley Road, has been converted to into apartments. 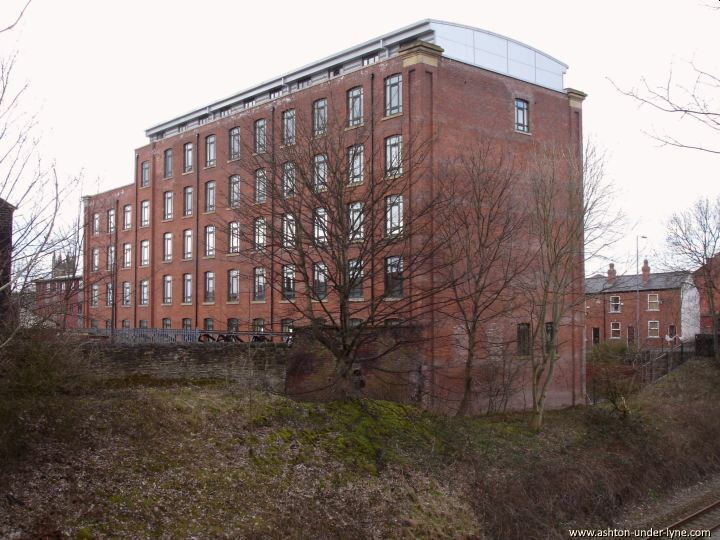 Harper Mill seen from the railway line. 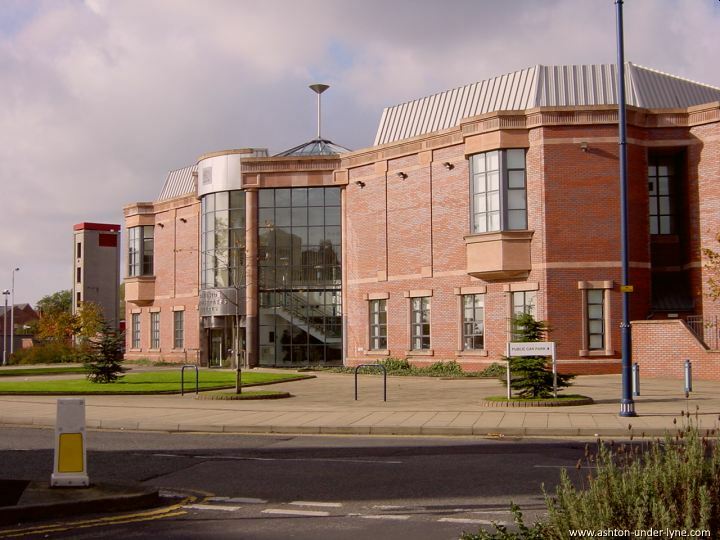 The new Tameside Magistrates Court in Henry Square were the first part of the re-generation of this part of Ashton. 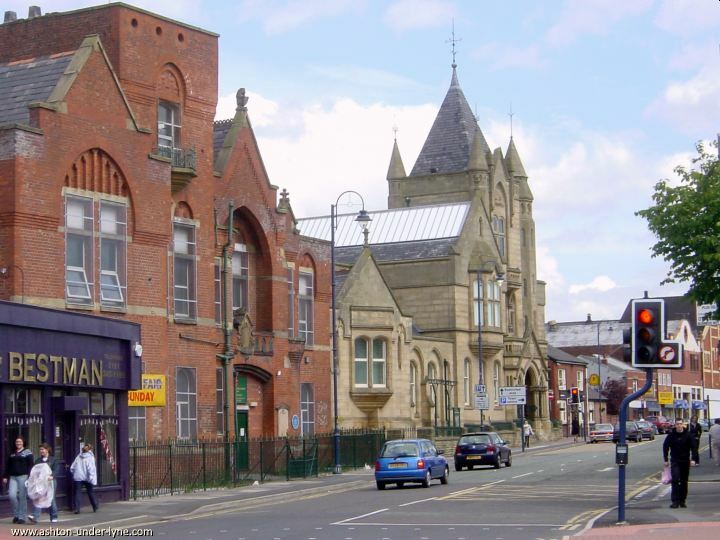 Opposite the new Magistrates Court in Henry square are the former Ashton Swimming Baths. 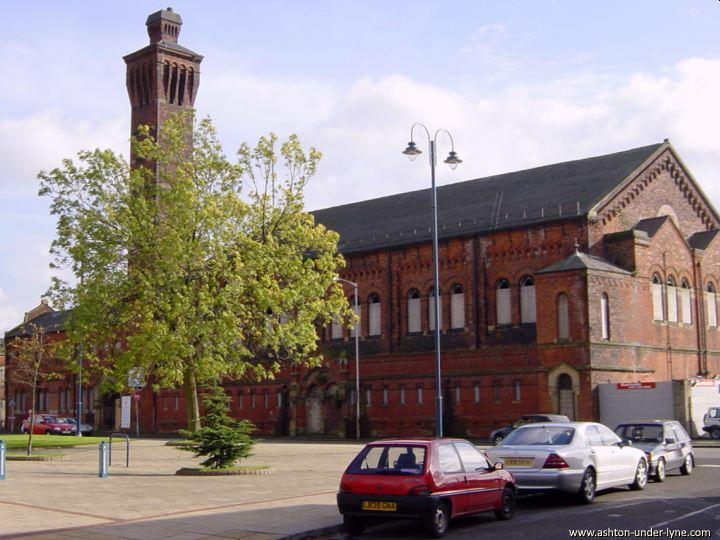 Built in 1870, this building was one of the first and largest municipal swimming baths. The building is to be re-furbished and used for a new purpose. 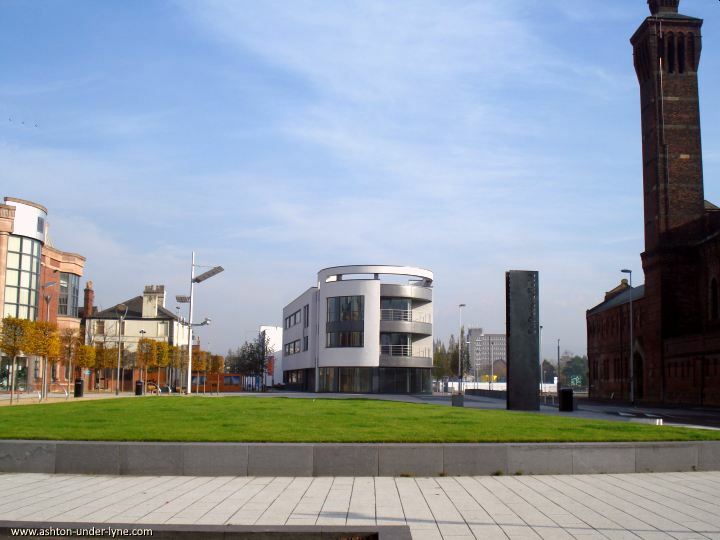 Henry Square, part of the St Petersfield re-development area of Ashton. 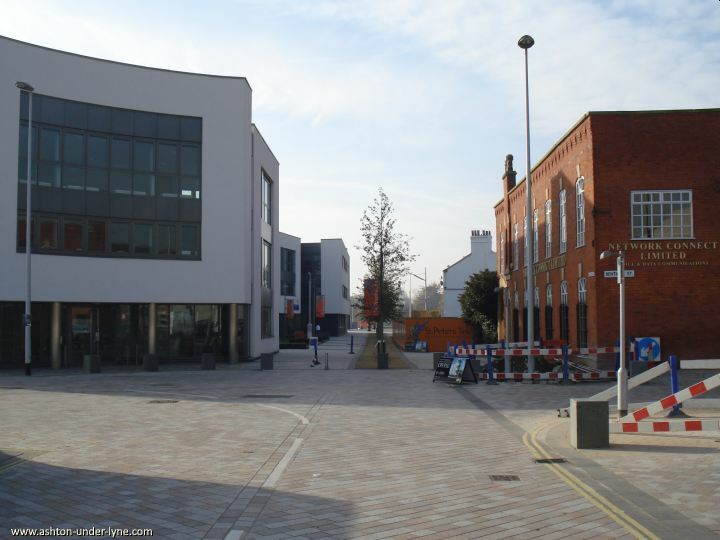 Old Street, in the St Petersfield re-development, looking towards Henry Square.